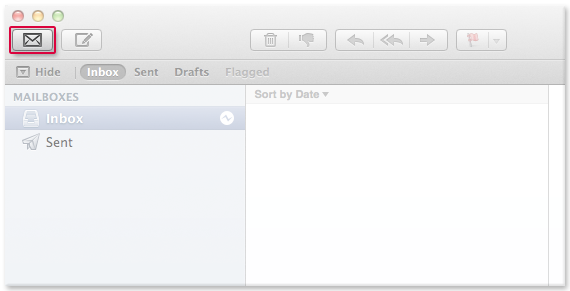 Retrieve your e-mail from your mail.com mailbox with Apple Mail. 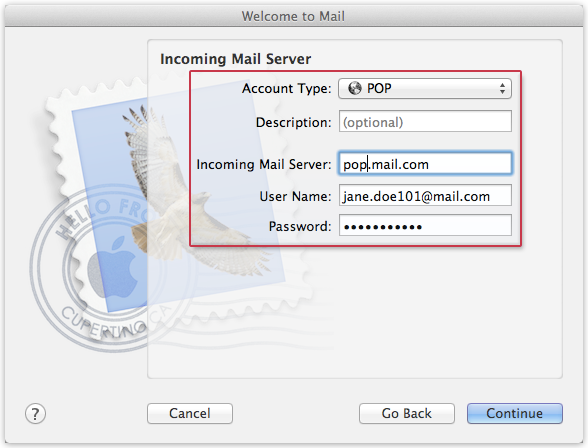 Your e-mail will be sent to your application through POP3 whenever you want. POP3 is only available to mail.com Premium customers. 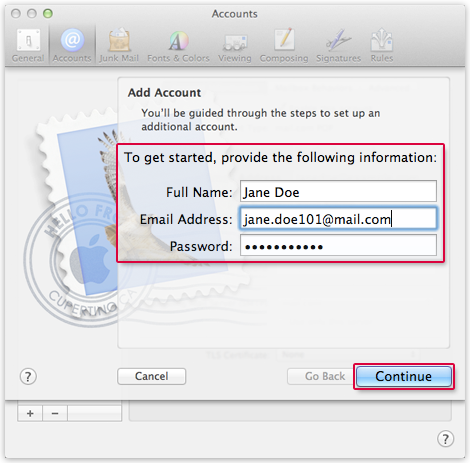 The images used in this instruction were made on a Mac running Mac OS X 10.8.5 and Apple Mail 6.6. The images may differ from those you see on your computer. To add a new account, select the Accounts tab and then click on the "+" button. Enter your name, e-mail address and password. Hold the "Alt" key and click on Continue. 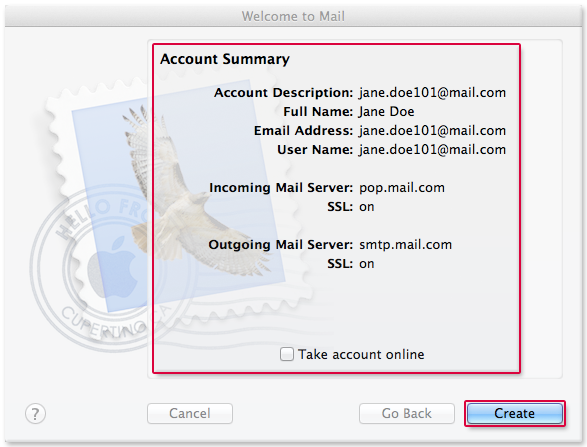 Choose the server type POP and enter pop.mail.com as server for incoming e-mail. Then click Continue. Check all the information entered. 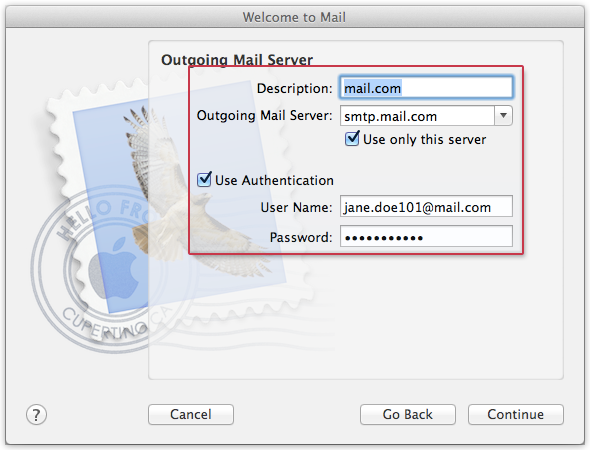 If you want to keep copies of your e-mail on the server, remove the check next to Take account online. Click on Create. If you want to keep copies in the mail.com mailbox, select your mail.com mailbox and click on the Advanced tab. 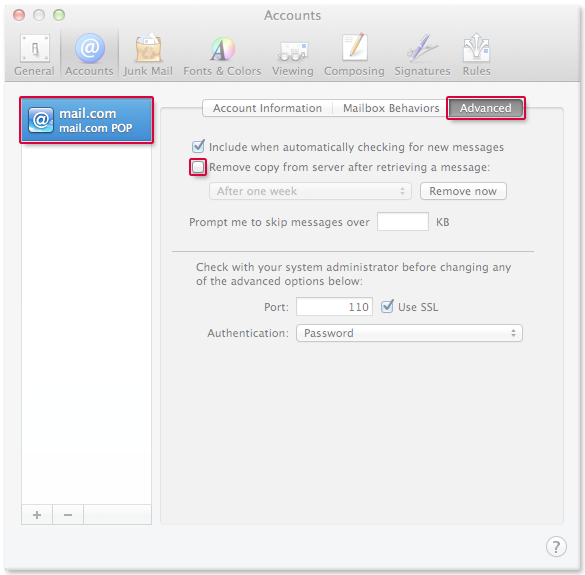 Uncheck the box next to Remove copy from server after retrieving a message:. Close the window and click on Save. 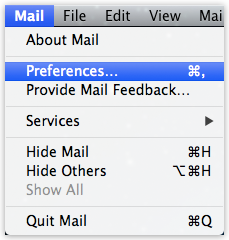 Click the button with the envelope icon on the upper left. 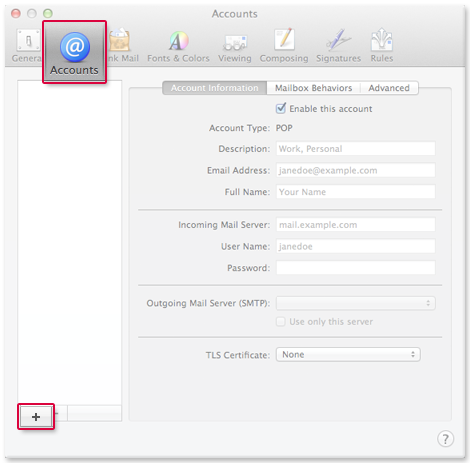 Apple Mail retrieves the e-mail from your mail.com mailbox.